Do you wonder how to save money while eating healthy? There are many ways to cut corners and make food last longer, and preserve your budget. One way is to waste nothing (or as little as possible). I’ve noticed that the less I waste, the longer my food lasts and the fewer trips I make to the store or the farm. It’s a pretty reliable system. Omelets, soups, stews, casseroles, sauces, stir frys, potato and rice dishes. There are endless possibilities. These can also go in many foods like omelets, soups, casseroles, and stir frys. Chicken carcasses are great for soups and broths. These are nutrient-dense foods that add flavor and can be used in a wide variety of foods. We use stock every single day in our cooking and food preparation for soups, stews, sauces, marinades, for braising meats, poultry, fish and vegetables, and for homemade refried beans. We use stock anytime we need moisture. For this reason, it is a great tool for reheating leftovers. Bones are good for soups and broths. I save my meat bones every time we have a meal and put them in a container in my freezer. We keep bacon drippings in a jar to use with all kinds of cooking – vegetables, garlic, onions, scrambled eggs, even to cook with other meats. But my favorite way to use it is to make refried beans. Yum!! There are so many other possibilities with leftover fats – again, soups, stews, casseroles, sautees, stir frying, etc. Read more about the importance of dietary fats, with products I recommend for optimal health here. Instead of using meat, poultry, or fish with every meal, use bone broths, cheese, butter, ghee and other dairy, lard, tallow, or others including goose or duck fat, olive oil, coconut oil or a combination of these. Cook rice or potatoes and vegetables in traditional fats for added nutrients and flavor. If you make a large meal that has leftovers and you know you won’t be able to eat it in the next day or two, freeze it. A bottle of salad dressing from the store costs anywhere from $1.99 and up, more for the “healthier” brands. Most brands on the market are anything but healthy, even “organic” and natural brands. Many of these products contain vegetable oils. Vegetable oils are high in polyunsaturated fats which are easily damaged by heat and long periods of shelf storage. Polyunsaturated fats are highly processed with heat and chemicals, and by the time they get to the shelf are rancid. That cheap bottle of $1.99 salad dressing will cost you more down the road in chronic health problems. With a bottle of organic olive oil and basalmic or red wine vinegar, you can be well on your way to making a healthy dressing. Bragg’s Organic Extra Virgin Olive Oil or Bariani California Olive Oil, Coconut Secret Raw Coconut Organic Vinegar, Bragg’s Raw Unfiltered Apple Cider Vinegar, Eden Foods Organic Raw Red Wine Vinegar, and Bionaturae Organic Balsamic Vinegar. Mix these together in a 3 to 1 ratio (olive oil to vinegar), add salt, pepper, spices, and you’ll have a delicious salad dressing that is good for you. Celtic Sea Salt, Real Salt Sea Salt, and Bob’s Red Mill Sea Salt. You can add many other ingredients to salad dressings. Get creative. Here is my home-made salad dressing recipe link. There’s even one there for home-made ranch dressing! This is a fantastic and versatile health food! Make yogurt or kefir, buttermilk or cream cheese, smoothies, and use in cooking – think pancakes, hot cereal, or mashed potatoes. Did you know fermented foods are supportive of digestive and immune health? That translates to better overall well-being, which is something most of us would like to have. You can find a variety of these wonderful, probiotic-rich foods at the store, but they are typically expensive and usually don’t go undergo the same fermentation time as those you can make at home. For example, store-bought kombucha, which usually provides 14-16 ounces, costs anywhere from $2.50 to over $5 a bottle. If you make it at home, you can make a gallon of kombucha for $1 or less, depending on the amount you spend for your ingredients (filtered water, tea, and sugar). Store-bought kombucha is also sweeter which means more sugar and less probiotic cultures, and therefore less benefit to your digestive tract and immune system. Like kombucha and other store-bought fermented drinks, fermentation times for store-bought yogurt, kefir, sour cream, sauerkraut, pickles, or other fermented vegetables are shorter as well. Depending on the brand, what you are getting is usually 4-12 hours. Some do ferment longer, but ultimately you have the most control making your own as you can leave your fermented foods to culture as long as you want. Cultured dairy foods and some pickles, sauerkraut, or other vegetables available at the store are also often pasteurized, which greatly diminishes probiotic content, enzymes, and valuable nutrients found in these foods. I highly recommend Kombucha Kamp for all your kombucha making-needs. Our family has been brewing our own kombucha for over 2 years, and we absolutely love it! I can’t tell you how excited I am each morning to wake up and have a cup of the kombucha that’s been brewing and is ready to drink. We have a continuous batch brewing system in place so that we have kombucha ready each day. My family loves the taste and we are quite dependent on this lovely, sparkling beverage for its many supportive health benefits. Check out this continuous brewing system from Kombucha Kamp which includes everything you need to get your brewing system started. We already had a brewing system in place when I discovered Kombucha Kamp’s products. This is what we will purchase when our current system is no longer functional. Be sure to sign up for Kombucha Kamp’s e-mail list. When you sign up, you’ll receive the DIY guide and e-book FREE! Buying in season often means lower prices. Foods that are not in season and that have to be shipped in are more expensive in more ways than one. Local products are often cheaper because there are no transportation or other associated costs for the farmer/merchant. You may have to spend money on gas to go pick something up that is local, but you can plan your trips or carpool and make more than one stop on your way to other necessary obligations/tasks. Anything you buy that’s processed or already prepared may seem cheaper up front, but has the potential to add costs later (especially where health is concerned). Here are some recipes for ideas. Read more about the high costs of cheap food here. You will get full and stay that way longer, which will cut back on eating between meals and saves money. If you are eating a lot of junk, you will be hungry more often, and have to keep eating more to get full – but you won’t be full, and your body will pay for it in the end. I don’t always do this, but when I do, I reap the benefits of organization. Although I always try to buy organic whenever I can, sometimes this is not possible. Find out which foods are best to buy organic, and which can be left to conventional selections if you are on a budget. If you grow your own food, the savings are substantial. Wash them and shake them of moisture and dirt or insects that may have become trapped. You can bunch herbs together and secure with a tie, then hang them upside down for 1 – 3 weeks. Use care to tie the string securely around the herbs, but not too tightly which can cause broken stems. Best place to hang is in a dark, dry, well-ventilated area. Herbs are dry when they feel crumbly to the touch. You can also use a food dehydrator or oven (if you have a setting that goes down to 150 degrees). Wash, rinse and allow to dry thoroughly. When dry, place a parchment paper sheet in your dehydrator or oven. Place in the device of your choice for 40-45 minutes or until crumbly and dry. Make certain to spread well out and not overlap while drying. Store in an air-tight container. Glass is preferable, or zippered BPA and other toxin-free plastic bag in a cool, dark place. Some bulk items are cheaper, but some are lower quality. Weigh those factors with whether to buy from bulk bins, frozen, fresh, or from the farm directly. A bag of prepared lettuce may seem more convenient, but a head of lettuce is usually cheaper and the savings on packaging is better on the environment. Buying meat or other animal foods in bulk from a farmer is a great way to save money over the longer term. If you can buy a quarter, half, or side of meat or 20 chickens at a time from a farmer (and enlist a friend or two to share the cost), you can purchase a bulk amount of meat, poultry, or some other food you consume regularly and store it in the freezer. This may require the purchase of a chest freezer or something similar if you don’t currently have one. But, this is a one or long-time purchase that will enable you to reap the benefits of buying meat in bulk. Use about 6 – 7 to 1 ratio of water to vinegar for cleaning. Walls, floors, counters, glass containers, bathrooms, sinks, toilets, and almost any surface you can think of. We have a bunch of glass containers and jars in our house that we’ve saved from products we’ve purchased, and they come in handy in many instances. My daily water container, for example, is a 32 ounce (liter) glass jar from unsweetened cranberry juices I buy. Use single-serving juice jars for drinks and baby food and small jars for lunches and to-go food packs. If you must use something disposable, use parchment or glass lids (plates turned upside down work too! ), or paper bags. They are reusable, biodegradable, and better for health. It’s amazing how fast you can create a wonderful, healthy pile of dirt for your garden by depositing your mustard and carrot greens, avocado peels, apple cores, coffee grounds, and egg shells into your compost bin. If you are going to pick up meat, milk, or produce from a local farm, find others in your area who also want to do this and share responsibility for pick up/delivery. We share our milk delivery with three other families, and thus only have to pick up milk once a month from the farm that is 30+ miles away. A few years back, a woman who was selling locally-produced vegetables and fruits needed delivery drivers to take items around to subscribers on her CSA routes. I volunteered to be a driver to take produce crates around in my own neighborhood and in exchange I got a free crate of fruits/vegetables in return every week. I also made a new friend. What are your tricks and tips for saving in the kitchen? Please share! OMG. You covered everything! What else is there? And that kitchen! I’m drooling…. Yes, that kitchen is gorgeous. It’s pretty much the style of kitchen I’d like to have someday! Great, great tips. I try to to tell people that with a little work and bulk buying, real food is affordable. Hi Jessica – yes, bulk buying is a great practice! I don’t think it’s something that is second-nature to modern life, as so many are geared toward grocery store shopping once or twice a week. But it’s really wonderful to be able to buy foods in bulk so you can wait awhile again before having to repurchase, such as with dried beans, nuts, or rice, and with meat, poultry, or fish. Great post. Love all the super practical tips! Yes! All of this! So helpful. It is very do-able to eat real food and be on a very very tight budget. We do sacrifice some things but it is worth it to me – and you can eat really GOOD real food when you are mindful of these sort of things and don’t waste. Hi Renee – I agree, it is doable, and compromises and sacrifices are definitely worth it to many, our family included! Being mindful of not wasting is the biggest challenge and I think it goes a long way in saving money and stretching food out. Yay for eating really good real food! Thank you Raine for sharing this. I think I will print it off and put it on my fridge as a reminder! 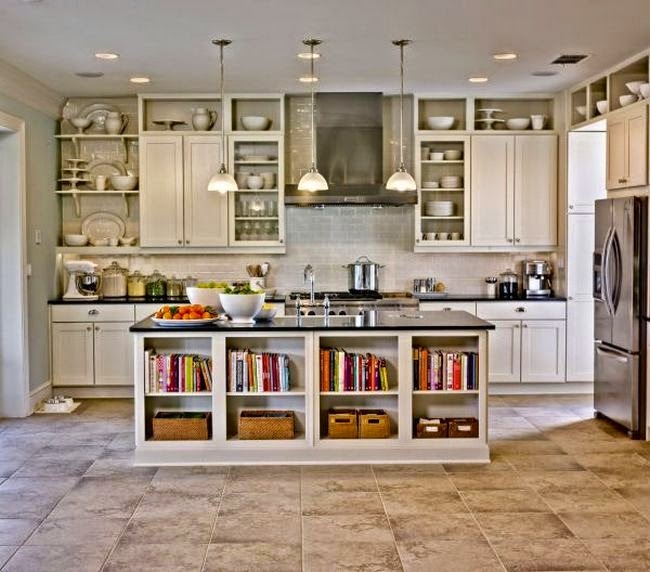 On a side note… that kitchen though.. WOW! Wow! What a comprehensive list! Lots of great ideas. We save money by shopping local and getting the cheaper meats and vegetables, as well as making our own stuff. I recently learned how cheap it is to make my own yogurt! Hi Chloe – yes, making yogurt is often a cheaper way to go than buying at the store. It may depend on how much you pay for raw milk. Right now the raw milk we have access to is $10 a gallon. That’s pretty expensive sounding, but if we bought 2 gallons a week and used one for making yogurt (the other we drinnk), then I can make roughly 4 quarts for $10. At the store, each quart is priced somewhere between $4 and $6. And that is for pasteurized, whole milk, plain organic yogurt. As well as being pasteurized, fermentation times on commercial yogurt are also shorter. So it seems worth it from a health stand point to make your own versus buying the store version. If you spend more than $10 a gallon, you may find it not affordable, but it depends on your budget. I do love our homemade yogurt! Wow, this is awesome. All my favorite tips in one place! Hi Rachel – thank you for stopping by. I’m glad these are useful for you! Such a thoughtful post. Thanks for thinking to share your wonderful ideas with us. My favorite is eating less junk. People think they save money with Top Ramen but not only will they pay for it with healthcare costs later on, how much does bone broth cost? So little. It’s just about educating and over time hopefully more and more people won’t mind a bit of cooking and will even feel happier from it.